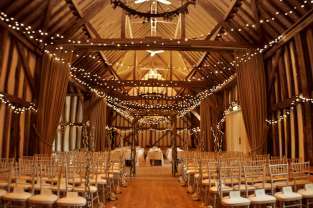 The barn looked fantastic with a wooden arch at the top of the aisle, crystal centrepieces and matching crystals on the arch. 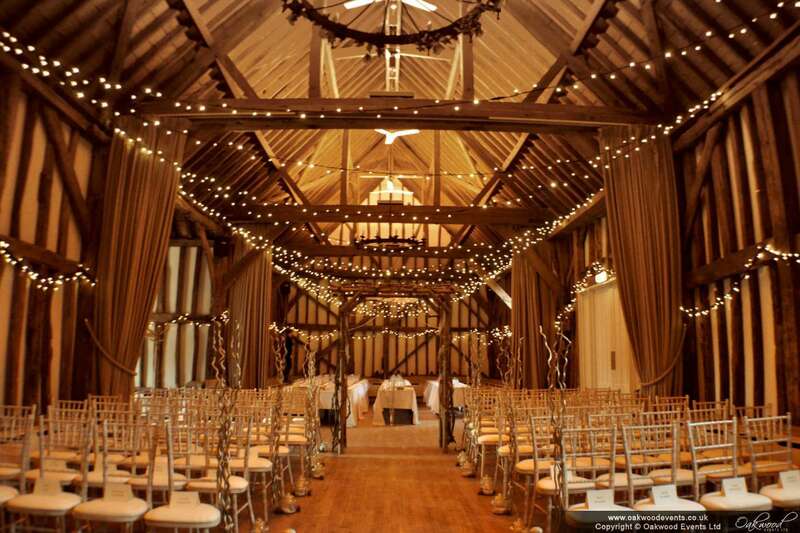 The fairy lights added that extra touch of sparkle! 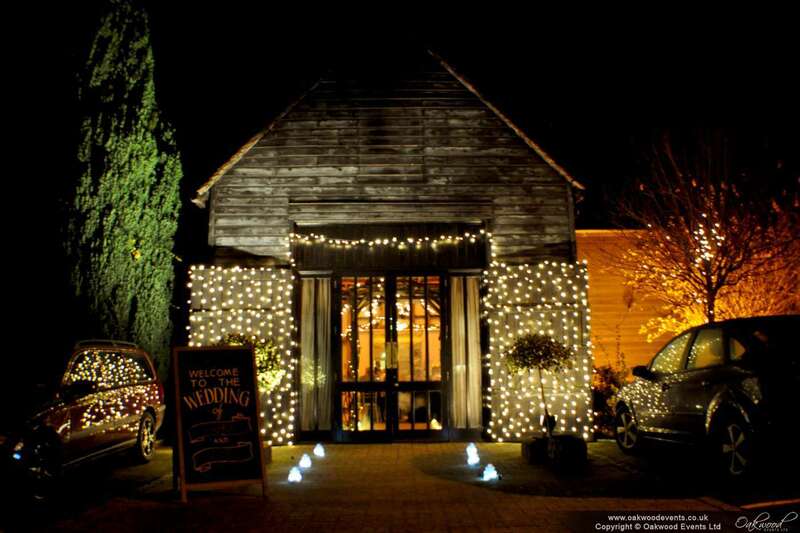 We also covered the large barn doors with fairy lights for an extra wow factor after dark.